It has been a crazy morning at Aussie Aldi stores. There's no doubt about it - people love to bag a bargain when it comes to Dyson vacuum cleaners. 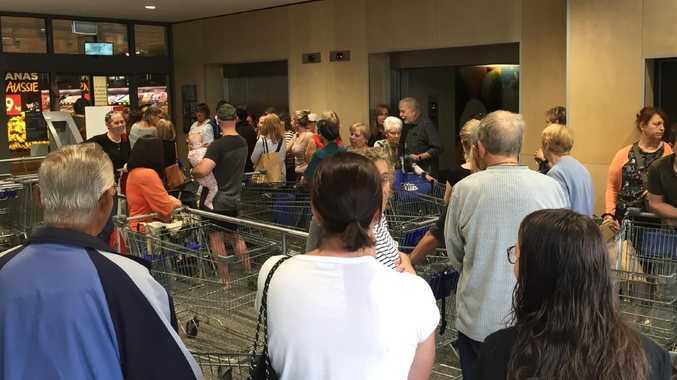 This time last year, ALDI supermarkets ran their first sale of the cult cleaning appliances and it created something of a frenzy. Push literally came to shove in some stores around the country as people physically tussled over the limited number of items on sale. 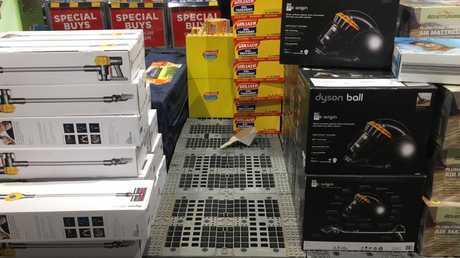 This year was no different as the popular German supermarket yet again put three Dyson vacuums up for grabs in its middle aisles across the country as part of their Special Buys range (for the uninitiated, Special Buys are collections available for a limited time across a range of categories). Up for grabs this morning were three of their more expensive models; The V6 Animal handstick vacuum for $349 (which is less than half the price of Dyson's newest V8 Animal model costs at $899); the Dyson V6 Slim, a genuine bargain at $289 (originally $399); and the DC37C Origin for $379 (originally $499). 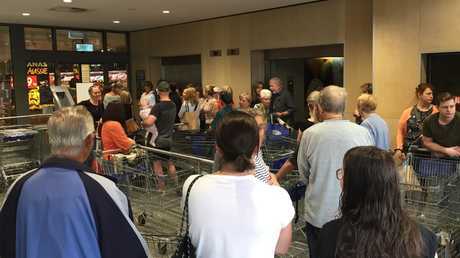 At the Brunswick store in Melbourne, one couple who didn't want to be named as they were "too embarrassed", had arrived at 7am to secure their place in the front of the queue in the hopes of scoring one of the V6 animal models. "I have never queued for anything in my life," said the man. "I've never queued for the iPhone or anything like that ... but I will queue for a Dyson". Ten minutes before doors opened at 8.30am the queue was 30 deep. 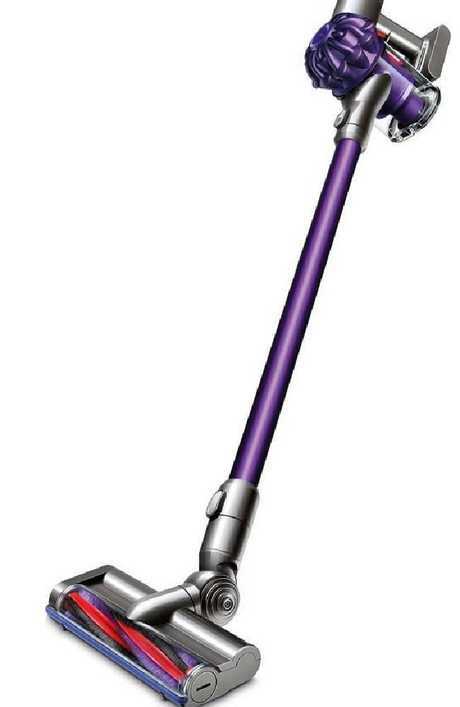 A store manager gave tickets to shoppers wanting a Dyson to avoid a physical rush. The V6 animal model sold out within three minutes of doors opening, but in the Brunswick store there were still plenty of the V6 slim and DC37C models left after the initial rush subsided. More stock was on the floor than this time last year, with a store manager declining to say how many units were allocated to each store. It's not only Dyson vacuum cleaners that cause a frenzy when they feature in the Special Buys range. Portable airconditioning units and TVs were also hot property. And, although it was expected that Dysons would be the big ticket item at Aldi stores this morning, store managers were surprised when it was another item that people were scrambling for. A ticketing system was put in place to manage the frenzy for the Dyson vacuum cleaners, but it was a flat screen TV that actually sold out within minutes. In the past mums have worked in "teams" to grab bargains at ALDI's annual ski gear sale, an unassuming grey rocking chair has become a cult item and in September last year two families were filmed brawling over some outdoor furniture. The Dyson V6 Animal will be on sale in Aldi on Saturday. After store managers witnessed the chaos some Special Buys sales caused, many started to implement a ticketing system for particular items, to manage the expectations of people queuing and to avoid pushing and running once doors opened. Though this prompted one shopper to question how an item could be sold out before doors even opened. "Can someone explain to me how it is possible to sell out of a product 5 minutes before a store opens, on the day it is meant to be available for purchase?" she wrote on the Aldi Australia Facebook page. Portable airconditioning units and TVs were also hot property in today’s Special Buys range. 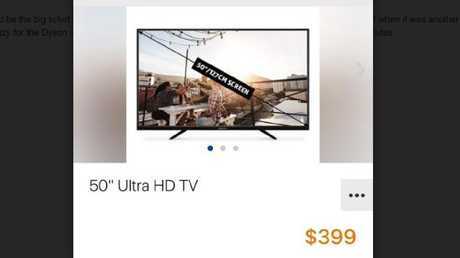 This 50” TV at $399 was the most popular item at some stores this morning. A number of shoppers have expressed their frustration with the limited amount of stock available for these big ticket items. Earlier this year ABC's The Checkout looked at whether ALDI's habit of advertising such a limited amount stock was an example of "bait advertising", which violates Australian Consumer Law. A spokesman for ALDI said the limited items within the Special Buys and homewares range is because they only intend on the products to be on sale for one week. 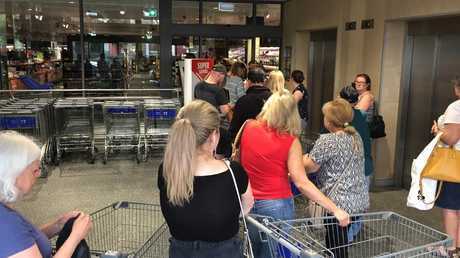 "ALDI Australia's Special Buys have become incredibly popular with Australian shoppers and are just one way we distinguish ourselves from other supermarkets," a spokesman told news.com.au. Vacuum cleaner fans arrived at 7am for their fix in Melbourne this morning.